“We found Delta's Display solutions meeting our specifications. Delta installed 5 sets of 70” LED-lit Video wall Delta has given their solutions to us in the past, and our experience in 4x3 configurations with them has been good in terms of reliability and post sales inside the control room- one video wall for each regional load support. We needed timely completion of this project and that dispatch centre (RLDCs) - East, South, West, North and Northeast aspect has been good with Delta.” Commented Mr. R.P. Sasmal, Director (Operations),PGCIL. Delta installed 5 sets of 70” LED-lit Video wall in 4x3 configurations inside the control room- one video wall for each regional load dispatch centre (RLDCs) - East, South, West, North and Northeast region. Above each Video wall, there is a 4mm indoor LED display, installed to display alarm situations from across the network so that it gets immediate attention and quick rectification. 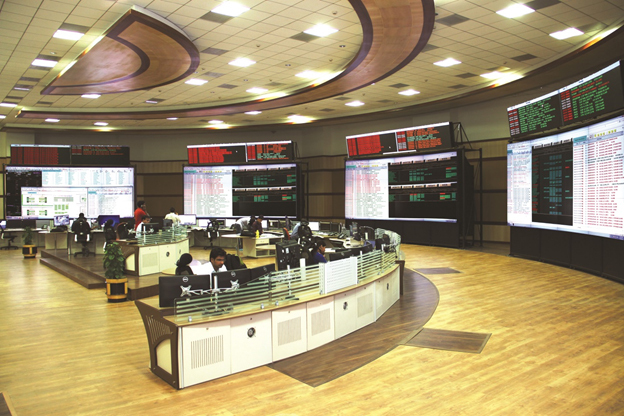 One Set of 4x3 70” LED-lit Video wall is installed in remote transmission monitoring centre for monitoring operations of North region separately. To make sure all the operators manning the control room are well versed with the technology, training is provided in a conference room equipped with Delta’s 70” Full HD Video wall in a 2x2 configuration. POWER GRID CORPORATION OF INDIA LIMITED (POWERGRID), the Central Transmission Utility (CTU) of the country under Ministry of Power is one amongst the largest Power Transmission utilities in the world. A “Navaratna” Central Public Sector Enterprise, PGCIL, is India's largest Electric Power Transmission Utility. Delta, founded in 1971, is a global leader in power and thermal management solutions. Our mission is “To provide innovative, clean and energy-efficient solutions for a better tomorrow,” and our businesses encompass Power Electronics, Energy Management, and Smart Green Life. Delta has sales offices, manufacturing facilities and R&D centers worldwide. In 2014, was ranked at the highest A-level of the Climate Performance Leadership Index of the Carbon Disclosure Project (CDP). Since 2011, Delta is part of the Dow Jones Sustainability Indices (DJSI) World Index. More information about Delta Displays can be found at www.deltadisplays.com.